I don't even like verts and I would easily take a 427 over a Stringray. The LS7 is an amazing engine. Comparing a 427 to a base Stingray is not even a fair comparison. The wide body C6 looks FAR superior to the base model Stingray. Now a 427 vs a C7 GS or a C7 Z06? Much tougher decision. Last edited by Frankie15; 03-12-2019 at 01:06 PM. I owned a '16 C7Z simultaneously with my current '13 427 and the Z sat in the garage while I drove the 427 every chance I got. IMO the 427 is by far more fun to drive. I have also owned a '15 Z51 and can say that by seat of the pants, the LS7 pulls harder than the LT1. While the C7 is definitely an evolutionary step forward, I prefer the driving experience of the C6 over the more refined C7. My car is a 1SC with the leather wrapped interior and the only thing I would want to change is the antiquated head unit. Since mine is just a fun weekend driver, I will probably just leave it alone. With the 427 you get a special edition one year model and I can tell you mine draws a lot more attention than my Stingray or even my C7Z. 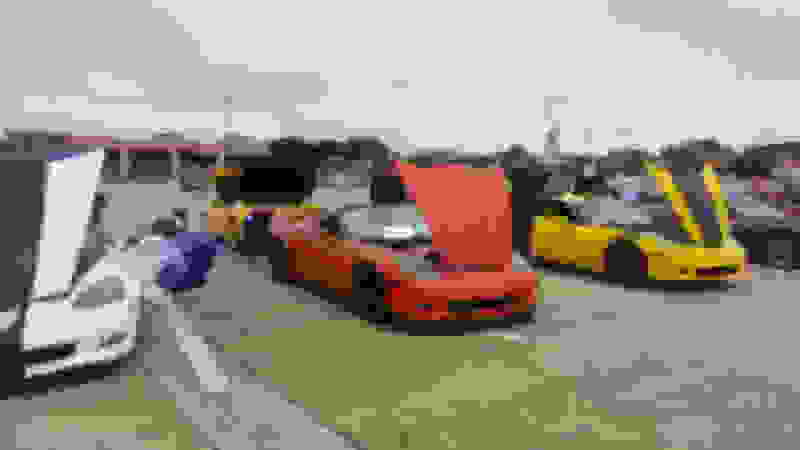 Here it is a a local Corvette show where it won the C6 class against multiple ZR1s, a Z06 Carbon Edition and a lot of other awesome cars. That's a really tough call... I would go drive a C7 and see if you value the improvements; there are many. However, for a weekend toy or nice weather around town car you may want the LS7 engine and the C6 widebody looks great. The LT1 has more torque than the LS7 up to mid 4K rpm and then the LS7 will run away. The C7 also has very heavy wheels... the car has nice grunt, but flattens out up top vs. my old C5s (modded Z06s). The C7 frame and steering and suspension are all better. The wheelbase is longer and the interior is vastly superior. However, some say it's tighter. If you look at the published specs it's not... but it feels tighter due to how it wraps around you more. I'm 6'3" 260 and have no issues in my C7. If you do drive a C7 be aware that the seat has travel limiters because it's all power now. There's a sensor pad under the carpet behind the seat on that bulkhead panel. Once the seat hits it it won't move at all. That means you could have the seat base raised with the seat back reclined... move the seat back and hit that pad and the seat won't move further or go down. So you read all these posts about "I can't fit in a C7" when in reality the seat bottom wasn't all the way down. Trick is to move seat forward, incline the seat back, then get the seat all the way down and back and then recline the seat. Then you have it full down/back and can move it forward from there. Other thoughts... the C6 is lighter and "simpler" no DOD, no eDiff (not on base non-Z51 C7s), just less content. The LS7 is awesome when it's not dropping valves. in my book the 427 is a no brainer, it is much rarer as you can have thirteen c7 at a dozen they are all over the place and their prices are falling down the 427 is a better value. I feel like the price difference will be significant with the 427 being a bit more pricey. C7's the newest generation, it's supposed to be superior (or greatly improved, anyway) to C6, and it should be. LT1 strikes me a solid, powerful little SB, plenty tq/hp for 99%. If a'tall possible test drive a C7, then test drive a LS7 ASAP afterwards. Only way to make an informed decision's through a comparison. Might prefer a '7, or not. IF going w/ a '7, just some advise. Having tracked the gen from Day 1: avoid the A8. These transmissions have proved somewhat a nightmare for some unlucky owners. Owners claim it can't be fixed after repeated attempts by dealer + much headache are not uncommon. Now, a 'new' lube formula's GM's solution for eliminating A8's shuddering et al? Pity because not all are A8s are 'bad', satisfied owners aren't uncommon, either. Considering what A8 does though (it's a TRANSMISSION) approval should be at 99%, which it's far from. Have to ask yourself how lucky you feel, particularly when talking about a vehicle explicitly for pleasure. I've a new CTS AWD (Prem), trans is Cad's version of the A8 and I really like it. But it doesn't have CD (cylinder deactivation) and I've always had a suspicion A8s core issue lies w/ that function. Thanks Tool Hoarder. I am only 5'7" so I am not too worried about fitting in the C7. I keep seeing a comment about dropping a valve in the 427. That scares me because I am not a mechanical person. Thanks Landru, I'm one of those old die hard guys that believes a sports car has a rag top and manual trans. I don't care how many issues the A8 has,I would never own one. Lots of C7's available and no more 427's. Had a 15 C7 z51. Nice care and enjoyed it. Better seats and lots of bells and whistles if you are into that. Never got use to the large rear end but still a great car. Sold the C7 when opportunity to get a garage queen 2013 Anniversary car 427 came along. 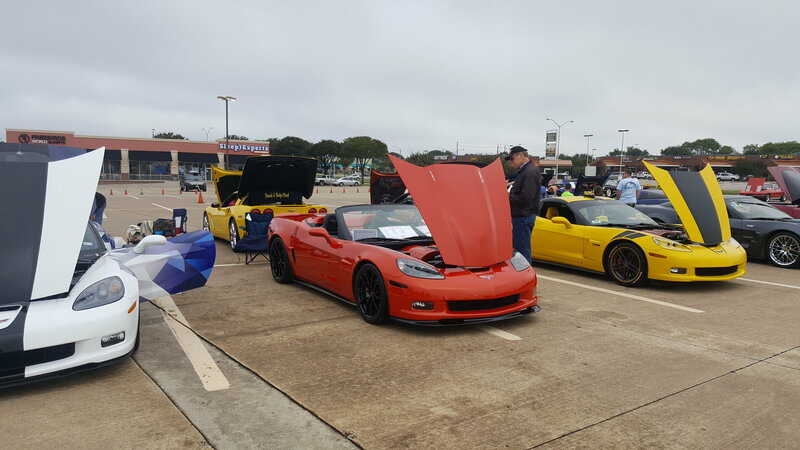 Combination of Z06 and ZR1. Great looks and a blast to drive 505HP with 6 speed shift. So am I for the most part. But I really prefer the look of the Widebody C6 with the raised CF hood only available on the 427, along with the de-badged sides and rear. I've been to Carlisle several times since 2014, so I've seen more than my share of C7s. Of the cars I've seen (we're talking 1000s of them.) I'm gonna say I've seen exactly one that I would say looked as pretty to my eyes, as my 427. A guy had a 15 Z with the carbon fiber accents all over it and it was the Sunsert Orange or whatever that orange was they had in 15. Seriously nice looking car. If you offered me a C7GS straight up in trade, I'm keeping my 427, but I'm sure I'm in a very small minority there and that's fine. If I was looking to buy like you are, that would make a tougher decision of it. Looking on the bright side, there really is no wrong choice. Anybody would be thrilled to have either one. The 427 will be faster and has a better chance of being worth something long term. It's also further along in the depreciation curve. I would pick the 427, despite the potential valve issues. I think it's the better looking car. Have really looked hard at 427 Verts but since wife does drive my C6 some I am stuck with auto/paddle shifts. Never owned a C7 so I cannot make the comparison. However, I have bought a few Corvettes knowing I will only keep them a few yearrs and trade up. I currently have a 427 and have plans to keep it for a long time. Like it that much. Someone earlier in the posts said it is more raw than refined....excellent way to put it. I'm pretty vocal about my current 4lt CE GS being my dream Corvette. That said, if something were to happen to it, the only other c6 I could see owning is a 427. I've never had a very, or the desire for one, but the 427 is just awesome. So take that for what it's worth. I actually went from a C6 (2008 vert) to a 2016 Z51 Coupe.... the C7 was better in every manner of drivability and lots of tech.... i unfortunately had to trade my C7 but then had a chance to get my old C6 back! YES ! the very same car... i must say, i am very happy back in my C6 Vert.... I think if it wasn't a vert, the story might have been different... but the C6 still has a charm that the C7 doesn't. unless you go to a Z06 vert maybe. Last edited by DickieDoo; 03-15-2019 at 06:00 PM. 427 C6 is a collector and better looking. C7 Stingray: ugly and boring with probably around 40k built in the early years so you can find one on every other corner.